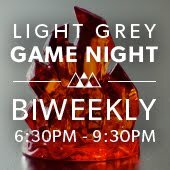 LIGHT GREY ART LAB: HOT PARTY Opening Reception! Happy Birthday to us! Light Grey Art Lab will soon be one year old and we've got a new exhibition all lined up to make sure we celebrate in style! It's called HOT PARTY, and it's all about the art of the par-tay! HOT PARTY features larger-than-life confetti installations, miniature birthday cakes, high flying flags, and delicate paper sculptures, transforming the gallery into a party-themed wonderland. The exhibition’s goal is to create an atmosphere of excitement and suspense as each artwork captures “the moment before the party”. 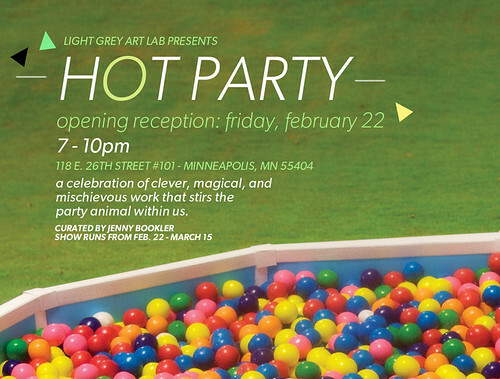 The opening reception for HOT PARTY is Friday, February 22nd from 7-10 PM. Come and celebrate with us, you can expect piles of candy, a giant birthday cake, confetti poppers, a photo-booth, and artwork giveaways! 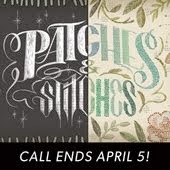 Remember, the Opening Reception is Friday, February 22nd from 7- 10 PM! We're located on the corner of Stevens Ave and 26th Street - right across from the Minneapolis College of Art & Design. Street parking is available on Stevens, 26th and 1st Ave.